Our flight home was mostly fine. The head flight attendant was a really strange little woman who sounded a lot like Frau Blücher and smiled really inappropriately. She'd talk, then stop, then smile really wide, but sorta like you might do if you knew you were getting tazed if you didn't stop and smile. We had a really nice weekend capped off with a video my Brother in Law created from scanning a whole lot of old family photos. Good stuff. I'll give you some screenshots when I get around to it. 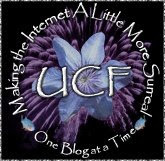 One that you'll enjoy, I can't remember who is in it, but one person is wearing a "UCF" T-shirt. 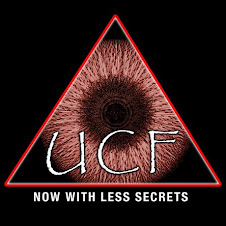 I'm pretty sure it's from the University of Central Florida. Just got back in town myself, so a belated happy birthday to your dad. Sounds like you had a great time with family. And bloody Mary's. Or Bloody Marys. Or however you spell them.